Yves Mousson-Lestang founded the company in 2005. Previously he held the position of CEO of EADS Poland and worked in the French Ministry of Economy as the Commercial Attaché in Warsaw. In 2011 he was nominated the Advisor of the Foreign Trade of France by the French Prime Minister, Mr. François Fillon in the name of the French National Committee of Foreign Advisors. He holds an LLM from Ludwig Maximillian University of Munich and finished Pantheon Assas in Paris. Tomasz M. Tarasiewicz is Managing Director of Eurus Capital and Co-Head of the Private Equity investments of the group. Prior to joining Eurus Capital in 2012, Tomasz worked for North American Institutional Investors within their Private Equity investment teams. In his role he was involved in a variety of principal investments in infrastructure including transportation, energy, environment, natural resources, communication. He was also involved in venture capital, buyouts, as well as mergers and acquisitions, restructurings in a wide range of industries, from industrial manufacturing to technology and media, from agribusiness to pharmaceuticals and healthcare. Prior to his career in private equity, Tomasz worked as a lawyer in France, Poland and Belgium. In Brussels he worked for the European Commission where he was involved in the EU Enlargement process. Tomasz holds an LL.M. in International Trade and Business Law from Université de Paris X – Nanterre (France) and is a graduate in Finance and Business Administration from Université Laval (Canada). Georges Kuta joined in 2008 after a successful international career mainly in Telecom and Railways activities. He created and headed for Alcatel, as General Manager, industrial companies in India and Poland. He graduated from the Institut d'Etudes Politiques of Paris. 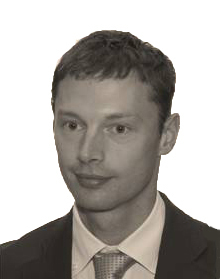 Grzegorz Czarnul joined Eurus Capital in February 2008 and has worked and managed since then number of M&A projects. He has experience in range of industries – pharmaceutical, chemical, food processing, building materials and construction. Before, in 2005 - 2008 Grzegorz worked as an entrepreneur. He holds a master degree in Business Strategy and Economic Policy from the Poznan’s University of Economics. Alexandre De Raemaeker is the Managing Director in charge of the Kiev office. He worked for 4 years in McKinsey & Co. as an affiliate of the Strategy Practice where he was an expert in company growth both organic and by means of acquisitions. He also worked at the Equity Sales desk of Renaissance Capital in Moscow. He graduated from Université libre de Bruxelles and holds a MSc in Economics. 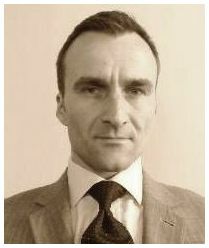 Dr. Yuriy Zerov joined in 2005 from the EBRD Ukraine, managing M&A, Private Equity and Consulting engagements. He has experience in across sectors including food & beverage, raw materials, industrial production, telco, energy, construction materials, banking. He holds a PhD in Theoretical Physics. Ivan Zindovic joined in 2007, to manage transactions in Serbia and Montenegro. He has experience in real estate, hospitality and foreign aid. He is a graduate of University of Kosovo.